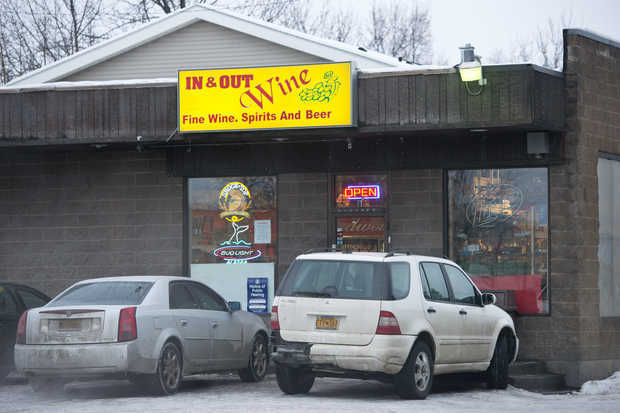 Spenard liquor store must stop selling alcohol for one week as punishment for selling to an underage buyer, state regulators decided Wednesday. The Alcoholic Beverage Control Board voted 3-2 to fine In & Out Wine $500 and yank its liquor license for seven days, with 38 days suspended. The owner of the Spenard business, formerly known as In & Out Liquor, illegally sold a six-pack of Budweiser to a 19-year-old this year. 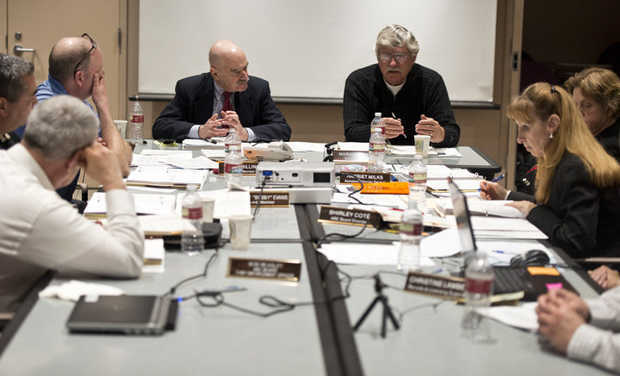 The board met in Anchorage to consider recent liquor law violations, license applications and other business. The charge against In & Out came March 1 during one of the state control board’s undercover stings. A young man with a military ID walked into the small shop at 1100 W. Benson Blvd., paid for the beer with a $10 bill and walked out, according to an ABC Board investigator’s written statement. Confronted with the underage sale, owner Martin Kim said he did not recall selling to the young man, the investigator wrote. Kim’s attorney, Sherman Ernouf, argued for lenience in the case, noting the store owner’s advanced age — he is 82 — and otherwise clean criminal record. Kim respects the military and thought he was selling to a soldier, Ernouf said. Kim was charged with furnishing alcohol to a minor in state criminal court, where he pleaded guilty to the misdemeanor in June. Despite the underage sale and another recent violation, the city Assembly did not place special conditions on In & Out’s liquor license when the license came up for renewal in February. The problem? Assemblyman Paul Honeman said the city had no conditional use permit on file for the business. Other conditional use permits for Anchorage alcohol sellers appear to be missing too, longtime Spenard Community Council member Tom McGrath told the Assembly on Dec. 3. “You have a number of liquor licenses where the conditional use permits cannot be found,” he said. The trend raises questions about the city’s ability to place restrictions on bars and liquor stores. A deputy city clerk told the Assembly that the clerk’s office is reviewing some 500 Anchorage liquor licenses to determine which businesses have conditional use permits on file and which will need new permits. 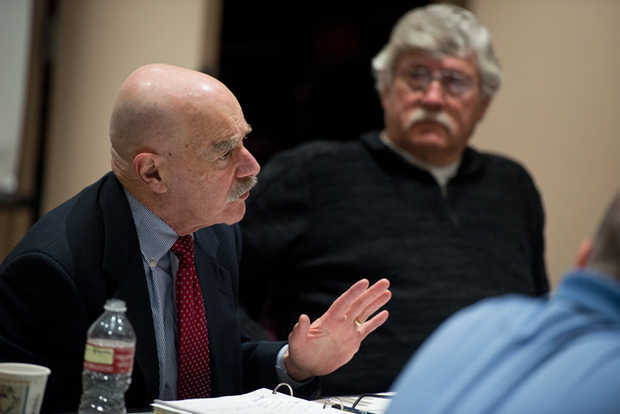 Former Assembly chairman Dan Coffey, a longtime liquor industry attorney and current candidate for mayor, testified that the problem applies to older liquor licenses that were created before a separate conditional use permit was required. Assembly members last week voted to create a new conditional use permit for In & Out that calls for the business to start labeling individual booze containers with an “indelible mark” that identifies where the bottle or can was purchased. The tactic is one way community councils hope to trace the origin of bottles found in homeless camps or littering neighborhoods. McGrath told the group that In & Out owners have worked hard to clean up the property and now attend local community council meetings. The nearby Midtown Wal-Mart should be made to label their alcohol to show it where it was sold too, he testified. Police earlier this year identified that Wal-Mart store, at Benson Boulevard and A Street, as a common source of alcohol among problem drunks. “My guys go into the store and see (alcohol) thefts right in front of them,” said Sgt. Mark Rein. Rein said management at the store recently cracked down on people stealing bottles by hiring additional security and shooing trespassers or panhandlers from the parking lot. “Now the problem is a bigger problem at Fred Meyer at the corner of Seward and Benson,” he said. Originally published December 10, 2013 by Kyle Hopkins in Anchorage Daily News.